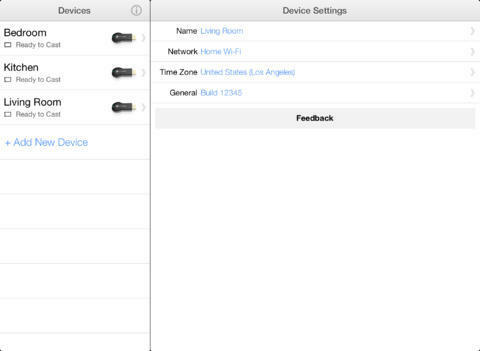 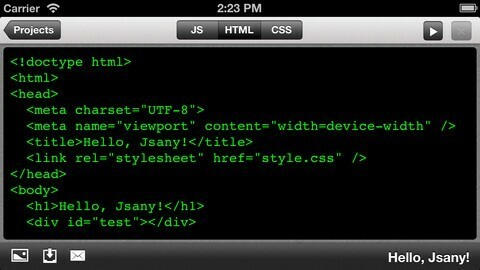 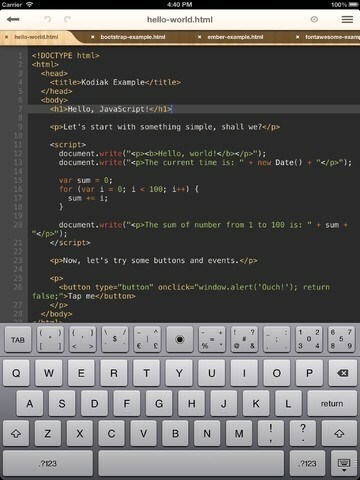 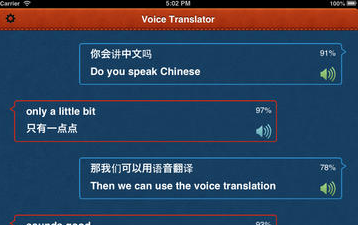 Jasic: a very interesting mobile development environment for iPad. 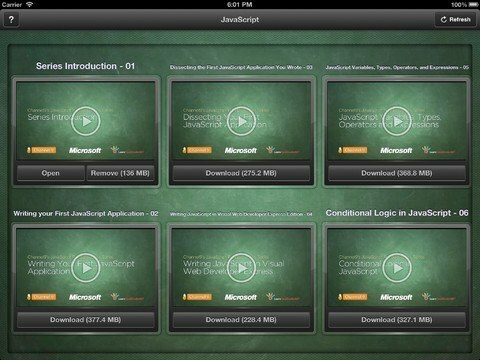 Use it to learn programming, build sophisticated apps, and more. 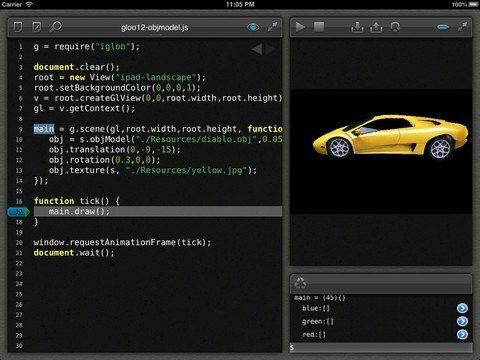 It has a modern debugger, project management tools, code editor, and many other convenient features. 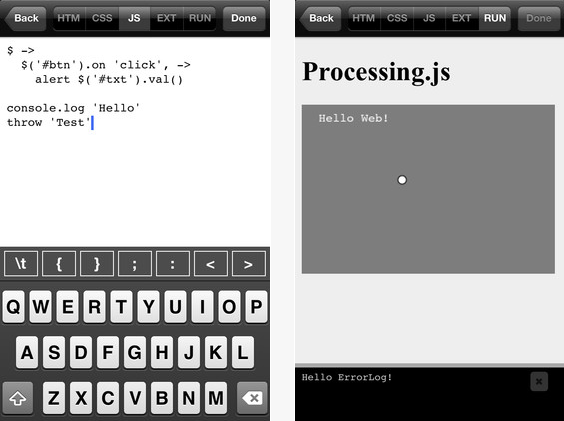 CoffeeScript At Once: a simple web environment for editing HTML, CSS, and JS files. 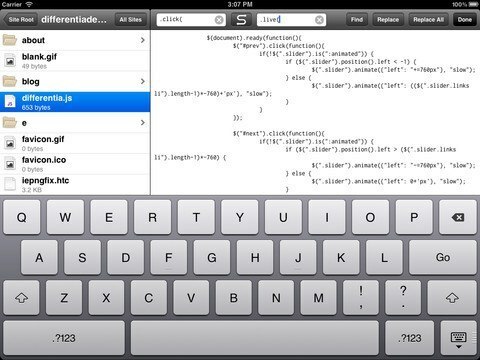 It has a customizable environment and a custom keyboard for input symbols. 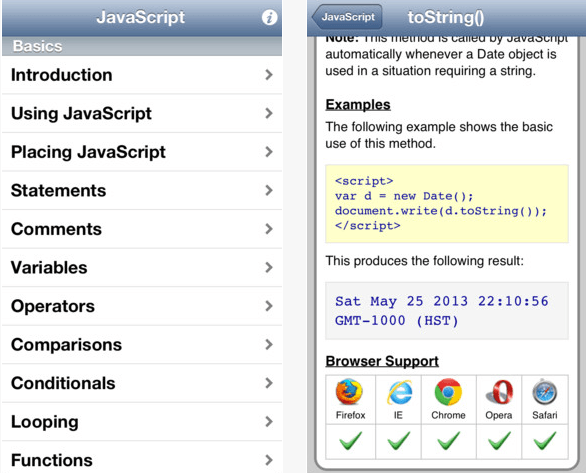 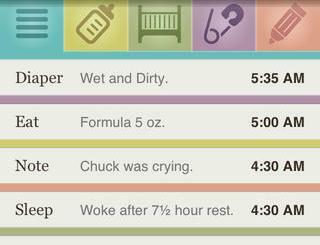 It offers post to Gist functionality.